Through its BMD program, India had already developed the Long Range Tracking Radar (LRTR) which can track a target with a 0.1m2 radar cross section at a range in excess of 1,000 km. Frankly speaking, a satellite is a relatively easy target to track for such an advanced radar system. Firstly, its path is extremely predictable, governed only by the forces of gravity. It does not execute evasive manoeuvres like warheads of modern ballistic missile systems. Secondly, a satellite has a much higher cross sectional area, typically close to 1 m2. However, India had only tested targets simulating re-entry vehicles of medium range ballistic missiles, that is targets which were moving at a speed of about 2 km/s. Hence the system had to be upgraded to track targets which were moving much faster, at speeds of around 7 km/s. When it came to the boosters, the scientists had an even wider choice. Booster stages from the land-based Agni ballistic missiles (BMs) or the K-series submarine launched ballistic missiles (SLBMs) could be used. Based on many simulations, two booster stages of the K-4 missile were chosen. This can be inferred analysing the pictures of the missile as described in Fig 1. below. Once the target is locked, the kill vehicle homes onto its target for a hit-to-kill (HTK) interception. The accuracy needed to achieve such a kill is, let us say, non-trivial. The two projectiles approach each other at nearly 10 km/s, whereas the accuracy of the hit is measured in centimetres. To achieve such accuracy, four divert thrusters placed at 90 degrees to each other are used. These thrusters create short and precise rocket pulses to modify the attitude of the KKV or create a translation if needed. In addition to these four main-thrusters, 8 more ports are visible along the base of the third stage. It is unclear whether these ports are part of a longitudinal motor placed at the base of the third stage. The entire system was been made road mobile, signalling an intent to operationalise the system and not merely test it. The transporter erector launcher (TEL) system for the PDV MK-II is a new trailer developed by DRDO’s Vehicle Research & Development Establishment, Tata Power SED and Tratec Engineers Pvt. Ltd. Although the TEL is new, it shares the same features as India’s other land based ballistic missile systems. In this case, the trailer uses three rows of 8 wheels which are mounted on hydraulic arms that are independently steered and suspended. The result is a trailer with extremely high mobility, very low vibrations and very short turning radius. Going by generic standards, each row of wheels should be able to handle 40 t of payload. Therefore, handling the weight of this missile and its supporting systems using three such rows should be well within its capabilities. The trailer will be hauled by a high power Volvo or Tatra prime mover. For illustrative purposes, Figure 2. above shows a schematic diagram of such a hydraulic modular trailer with four rows of wheels. Roughly two months before the actual test, the Indian Space Research Organisation (ISRO) launched the target satellite, Microsat-R, into a 274 km sun synchronous orbit on January 24, 2019. The satellite had a mass of nearly 740 kg and although its launch was covered in great detail, details of the satellite were left out. Only one picture of the satellite integrated with the fourth stage of the rocket, and a grainy video of its separation was published. Newspaper articles  have covered how the mission was kept a secret within DRDO, but how this secret was maintained inside ISRO remains a mystery. Ironically enough, one of the objectives of the ISRO launch mission was to reuse the fourth stage as an orbital satellite to reduce space debris. On March 27, 2019 at about 11:08 AM, this satellite was identified as a target of the ASAT test setup. The signal to launch was issued within 30 seconds. The missile launch occurred one minute later. The first stage burned out after 75 seconds and at an altitude of 45 km. The second stage then ignited and burned for about 30 seconds. It separated out at an altitude of roughly 110 km. The third stage continued to rise and reached a speed of roughly 3 km/s. It acquired the target seconds before impact and hit it within a few centimetres off the centre. The whole sequence of target acquisition to destruction was accomplished within less than four and half minutes. The flight time of the missile was 2 minutes and 48 seconds. The test parameters were chosen with extreme caution to minimise the hazard of debris after the impact. Although the missile can take out a satellite at 1000 km, the satellite was purposely injected into a circular orbit very close to the outer atmosphere. This decreased the time for reentry of the particles into the atmosphere. It is currently estimated that Microsat-R disintegrated into about 270 chunks, with a cross section of 10 cm2 or above. All of these are predicted to re-enter the earth’s atmosphere in less than 45 days. It is very unlikely that India will conduct another ASAT test in the near future, especially against a real satellite. There is simply no need: India has already demonstrated its capability which is verifiable by all the majors power in the world. If any further refinements are required, the tests are likely to be against electronic targets, may be at higher orbits. In any case, as discussed earlier, the system will be operationalised as a road mobile system with a very small footprint. Finally, India’s own ASAT test highlights the growing need to be able to replace a disabled satellite quickly, that may have fallen prey to an enemy ASAT launch. 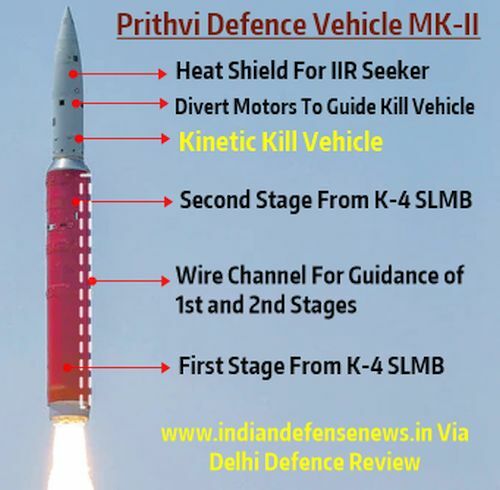 An initial example of such ‘operationally responsive’ launch capability may become available to the Indian military once ISRO operationalises its Small Satellite Launch Vehicle (SSLV) in July 2019. This vehicle should be able to launch satellites in the 500-1000 kg range to low earth and sun synchronous orbits. ISRO believes that the assembly and launch of SSLV can be executed within 3-days. The future of Space as a contested domain is already here. And for once, India may be ready for it.